What happens when the story gets bigger than anyone ever imagined? It’s a real humdinger. I’ve got to start by saying I’m not sure what to think of this book. I went in with one frame of mind, but have since changed it. I thought about this book after I finished and discussed it with friends. Yeah, I discussed it. 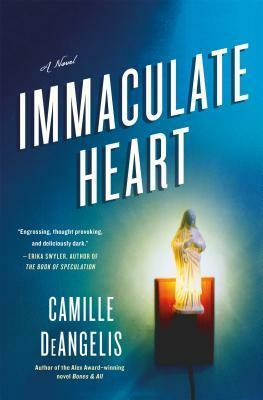 The main thrust of the story is an American reporter who happens to be in Ireland and is interested in a story about four teenagers who claim to have been visited by the Virgin Mary. I went into the book with the mindset that this doesn’t really happen. But I also mentioned that I changed my mind. The author isn’t trying to force the reader to believe in these sightings, but rather to get the reader to reconsider his or her beliefs. I did. The book also brought into mind how four people can be a witness to a certain occurrence and each handle it in a different way. We’re all different and we should celebrate that. We should celebrate what makes us that way and how there really are one-size-fits-all…anything. Now I mentioned earlier that I had a hard time with this book. I did, but maybe that was what the author wanted. To get me to think and wonder. If so, she succeeded. If you want a book that will make you think, wonder and reconsider, then this might be the book for you.